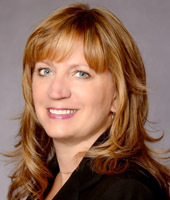 Ms. Rich is responsible for processing acquisitions, dispositions and financings. Since joining Ivy in 2004, she has managed in excess of $200 million of transactions comprising more than two million square feet of Ivy's investments. From 1993 to 2004, Ms. Rich was the Accounting Manager for Fuji Country USA in River Vale, NJ, where she was responsible for all accounting operations, including oversight of staff, internal control compliance and institutional reporting requirements to Japanese parent company. Ms. Rich attended Rutgers University.